Emily Levin, M.D. is the Medical Director at Northwest Dermatology Group and Covet MedSpa. She is a Board Certified Dermatologist who joined Northwest Dermatology Group and Covet MedSpa in 2004. She grew up in the Detroit area, earning her Bachelor’s Degree from the University of Michigan and Medical Degree from Wayne State University Medical School. Her training included laser therapy, injectables such as Botox and fillers, as well as surgical Dermatology, both as a general Dermatologist and Cosmetic Dermatologist. She has a particular interest in surgical and cosmetic Dermatology, and thus opened Covet MedSpa to help her patients achieve their best selves. Being voted “TOP DOC” by HOUR Detroit Magazine several times over the years, Dr. Levin is well established in the Metro Detroit medical community. In addition to her professional career at Northwest Dermatology and Covet MedSpa, Dr. Levin is also owner of On The Fly, a Blow Dry and Beauty Bar in West Bloomfield, Michigan. Owning On The Fly gives her the ability to further nurture her cosmetic Dermatology interests as well as her passion for helping people feel their absolute best. Michelle Samarian was born and raised in the Detroit Metro Area. She is a board certified PA-C who graduated from Wayne State University with a Master’s Degree in Physician Assistant Studies. Michelle is a current member of the American Academy of Physician Assistants, the Michigan Academy of Physician Assistants, the Society of Dermatological Physician Assistants and the Michigan Dermatology Physician Assistants. Michelle’s special interests lie in Dermatological Surgery, Medical Dermatology and Cosmetic Procedures. She is trained in various injectable products including Botox, Restylane, Voluma, Juvaderm and PRP. She is committed to providing the highest quality care and strongly believes in personalized, compassionate relationships with her patients. Dr. Brothers is dermatologist who joined Northwest Dermatology Group in 2018. He was born and raised in the metro Detroit area. He earned a bachelor’s degree in biochemistry and molecular biology from Michigan State University in 2008. He graduated from Wayne State University School of Medicine in 2014 and completed his intern year in Grand Rapids. 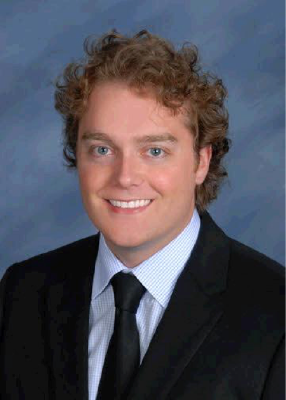 Dr. Brothers completed his dermatology training at Case Western Reserve University School of Medicine/MetroHealth in 2018, where he served as chief resident. Dr. Brothers is on staff at William Beaumont Hospital, Providence Hospital, and the DMC. He specializes in clinical and surgical dermatology, with interests in atopic dermatitis, psoriasis, skin cancer, and the cutaneous findings of systemic disease. When asked why he chose dermatology, Dr. Brothers says, “Your skin is the organ you wear. It is the visual representation of your overall health.”Dr. Brothers married his incredible wife in 2013 and is the proud father of two boys.